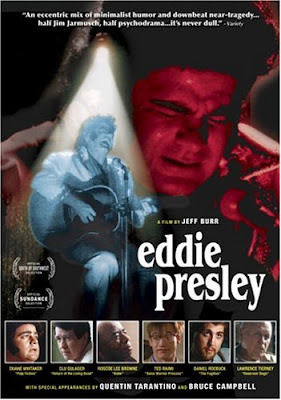 If you've heard of the film Eddie Presley, it may because of its connection to icons Quentin Tarantino or Bruce Campbell. If the presence of those two actors in this flick brought you to it, though, you're in store for a charming, though melancholy, indie feature. Today, we here at Chronological Snobbery look back at this 1992 film, and in so doing, we feature an original interview with Duane Whitaker, the film's star and screenwriter (as well as the author of the play upon which the film was based). 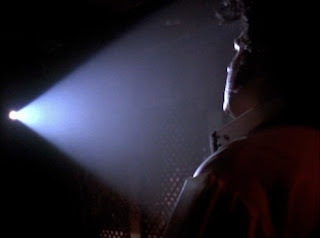 Directed by Jeff Burr, the film features Whitaker as the title character, a troubled Elvis impersonator who sacrifices much of himself and his life for his dream. In so doing, he loses his wife and family, suffers a traumatic breakdown at a burger joint, and finds himself committed to a local mental institution. This is his life. But all of that is his back story. When we first meet Eddie, he is a sad sack of a security guard trying to keep alive a dead-end relationship with an unfaithful waitress at a downtown diner. He lives in his van, which he parks on the street in the areas of Los Angeles the local chamber of commerce doesn't likely promote in its literature. His superior at the security guard company, Joe West (the late Lawrence Tierney, who would appear that same year in Reservoir Dogs), is out to get him. He has no mail at his post office box save for bills, and he has no messages from his answering service (which he must check from a pay phone). 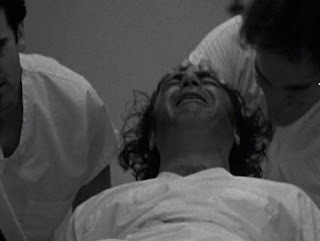 It is, in many ways, a sad film, which is to say that the viewer is affected by Eddie's plight. 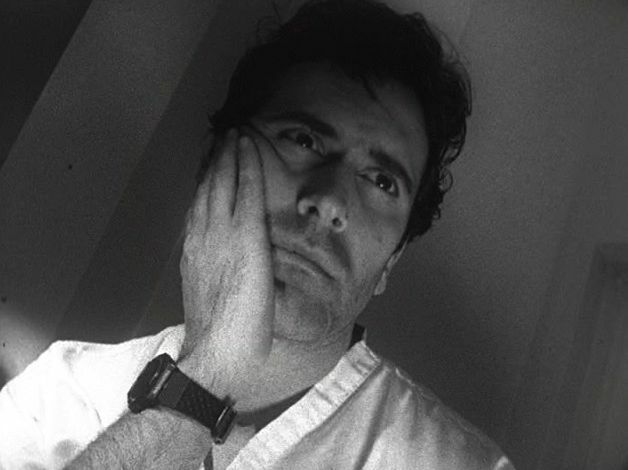 He is deserving of some level of sympathy, and the viewer is left to wonder, will he find his redemption? 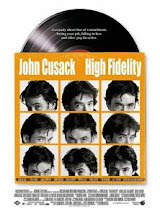 Still, he has some level of support from his friends, including Nick (Willard E. Pugh), Scooter (Ted Raimi), and Becky (Harri James), a chatty and nervous brunette who has a not-so-subtle crush on Eddie. But his lifeblood is the King. He is a once and future Elvis impersonator, so dedicated to the King that he legally changed his surname to Presley as the ultimate homage. He hopes to resurrect his show business career, and in fostering that ambition, he relates to Elvis and his 1968 comeback special, which Eddie believes silenced the critics who believed that Elvis was finished prior to that triumphant return to the national stage. So, Eddie bides his time, waiting for his comeback. Eddie's luck seems to change when he is offered a gig by Doc (the late Roscoe Lee Browne), the proprietor of Doc's Back Door, a night club featuring variety acts. Eddie's naive enthusiasm for the task at hand is both admirable and pitiable. He relishes the opportunity to return to the stage, and in so doing, he prints homemade fliers, which he hands out to any and all on the streets of L.A. A later montage reveals the fate of many of those fliers, including some that have been thrown to the ground or in public trash cans. His friends from work become his informal entourage, but his waitress girlfriend elects to work at the diner instead of attend the gig. The gig, unfortunately, does not go without a hitch. The opening act, a magician, crashes and burns in a dramatic fashion. Eddie, for his part, confidently takes the stage in his jumpsuit and performs a rendition of "Dixie" which impresses the audience, many members of which may have come to the show with low expectations. Unfortunately, just as things are going so well, the fates intervene, and Eddie's performance tape, which hosts his background music, warps and becomes unplayable. Left without music to support his act, he is initially frustrated, but then uses the opportunity to confess to the audience his troubled past and his fondness for the King. 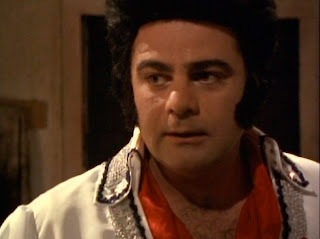 The 1967 film Clambake was his first introduction to Elvis, and after seeing that film at the theatre with his mother, he was hooked. As an adult, he opted to close his profitable pizza franchise in order to form an Elvis tribute act. This did not go well with his parents, or his wife, who opts for divorce. Despite losing a significant amount of money in that divorce, he formed a band, but it fell apart when he could no longer pay its members. He then carried on as a true solo act. Somewhere along the way, he even put out a vinyl single, the A-Side being an original composition, "That's What The King Means To Me," with "Hound Dog" as the B-side. Ultimately finding himself depressed, he suffered an emotional breakdown in a fast food restaurant, which resulted in his being committed (black and white flashbacks of which are peppered throughout the film). His wife then obtains a restraining order against him, which prevents him from seeing his young son. Broken and beaten, he ends up where we find him at the beginning of the film. All these difficult facts he relates to those assembled at the gig at Doc's, and it is powerful testimony indeed. It is then that the film ends with Eddie where he belongs: on stage. Like many low budget independent films, there are some uneven performances. But Whitaker becomes Eddie, a figure who knows that many might consider his dream silly. He knows that friends and co-workers cast him in disdain. But he doesn't care about their ridicule. As he tells the crowd at Doc's, he is doing what his heart says is right, and that can't be wrong. Though he was committed, he finds his prior life of restless toil to be crazier than the pursuit of his dream. 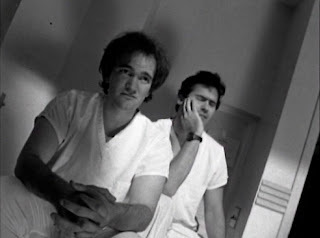 As aforementioned, Tarantino and Campbell make very, very brief cameos as orderlies at the mental institution to which Presley is committed in a black and white flashback. Later promotional materials attempt to capitalize on these very brief appearances by these cult favorites. 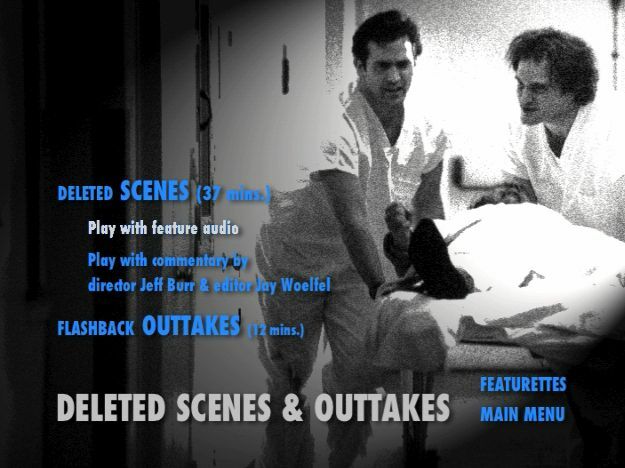 As noted below, outtakes from their scenes appear on the special edition DVD. Someone involved in the production obviously likes "Bewitched." There are multiple references to Paul Lynde and Eddie's dressing room at Doc's featuring a handwritten note scrawled above the mirror: "Agnes Moorehead is God." On that series, Moorehead played Endora, while Lynde played Uncle Arthur. Eddie is apparently a fan of Gore Vidal. In his van, he keeps a paperback copy of that author's 1985 novel, "Lincoln." Daniel Roebuck plays Keystone the Magnificent, the inartful magician who opens for Eddie at Doc's. 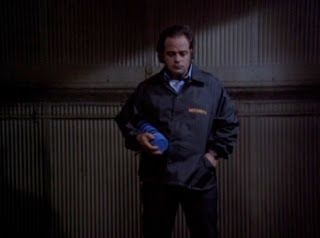 Roebuck would go on to play Jay Leno in the 1996 HBO movie, The Late Shift. Clu Gulager plays a wonderfully sleazy, bottom feeding talent agent who offices out of Eddie's girlfriend's diner. 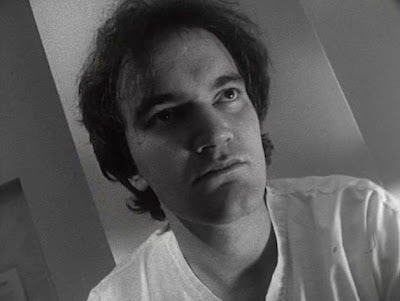 Throughout the film, he attempts to prey upon young, naive would-be actresses. 1. What is the primary difference between the film and the stage show on which it is based? The play was a one man show that just started with the performance. The tape breaks and he kind of just ends up spilling his guts. It was written about my frustration of where my acting career was at the time. It was something I had been thinking about for a long time and when I sat down to write it -- it just kind of spewed out. The third act of the film is pretty much the play, Not exactly -- but a lot of it is in there. 2. What do you think became of Eddie Presley? What would he be doing in 2007? I always thought it was a hopeful story. He says, "There will always be a place somewhere for Eddie Presley to do a show . . . ." I would think he would still be doing what he loves -- hopefully he would be more at peace with himself. 3. How does this film fit in with the wave of independent films that were coming onto the scene in the early 1990s? Do you consider it a part of that movement, and if so, why? I guess it would be part of that movement. It kind of got lost, though. It played some festivals including the first South By Southwest festival in Austin and then ran on the Sundance Channel before anyone had the Sundance Channel. Until the DVD release, very few people were aware of the film. I'm happy it's out there now for anyone who does want to see it. 4. 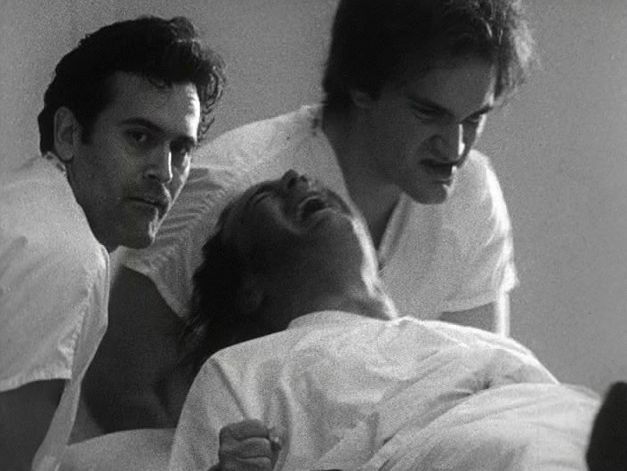 How did Quentin Tarantino and Bruce Campbell come to play the role of the mental institution orderlies? Bruce and Quentin were both knew the director, Jeff Burr, I believe. If I remember, it was going to be Quentin and Sam Raimi but Sam got a cooler gig and Bruce was nice enough to step in. Stuff that was cut from that scene is on the DVD extras -- pretty cool. 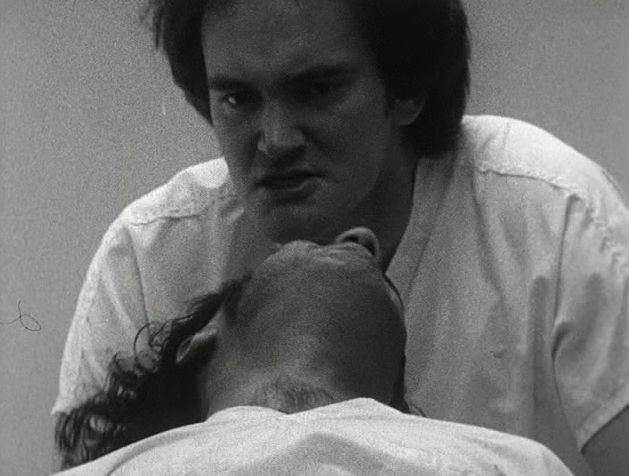 Speaking of Tarantino, you've probably seen Whitaker in action before and didn't know it. 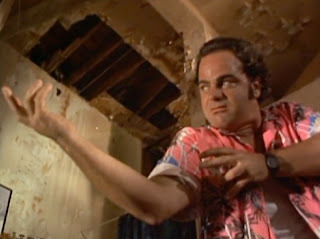 In Pulp Fiction, he played Maynard (depicted below), the pawn shop owner who, along with Zed (Peter Greene), take Butch (Bruce Willis) and Marsellus Wallace (Ving Rhames) hostages for their own nefarious purposes. Maynard dies at the hands of a katana-wielding Butch. Whitaker would go on to write and star in From Dusk Till Dawn 2: Texas Blood Money, a sequel to the film written by and starring Tarantino.